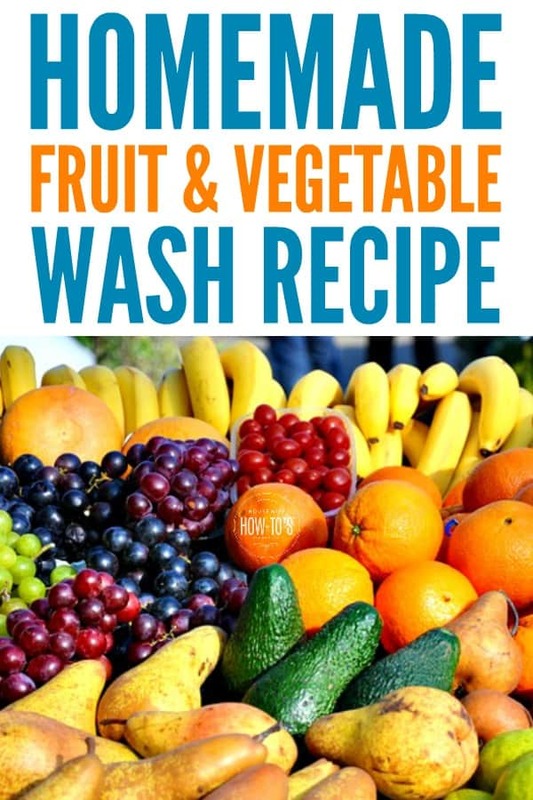 A homemade fruit and vegetable wash costs just pennies to make. It’s also an important step in food safety. Even melons should be washed when you bring them home unless you fancy the thought of dragging any pesticides and bacteria through your fruit as you slice it. Many of us think that’s overkill, but it turns out we could be exposing our families to very dangerous bacteria. That’s why the Centers for Disease Control and Prevention and other public health agencies are reminding people to wash produce, including cantaloupes, amid an investigation into an outbreak of listeriosis reported in a half-dozen states that so far has been linked to the deaths of four people. Produce that you peel, like bananas, also doesn’t get a pass. Think about all the times you grabbed a banana then touched other food without thinking about all the nasty things on it. We own a retail store in a town 70 miles from the Mayo Clinic in Rochester, Minn. Several years ago, a customer whom we had not seen in quite some time returned to our store. She explained that she had been sick a long time, and was finally diagnosed as having a parasite that she got from bananas. An article in the Cedar Rapids Gazette reported about two or three years ago that the Mayo Clinic is seeing more of this parasite in recent years, and warned people to wash their bananas with soap and water before peeling. So how do you wash produce? Well, you could buy some of that expensive spray at the grocery store — or you can make produce wash from one of these homemade mixes below. • Wash melons as soon as they’re brought home from the store to prevent them from contaminating your countertops. • Store washed uncut and unpeeled produce at the same temperature you found it at the grocer. In other words, if it was in the middle of the produce section it’s best stored on countertops, while items on chilled shelves should be stored in the refrigerator. • Make sure produce is completely dry before refrigerating since excess moisture leads to mold and rot. • Lining your crisper drawers with newspapers or paper towels helps absorb moisture and keeps your produce fresh longer. • Store mushrooms in brown paper bags. This helps keep them from getting slimy and blocks the light that makes them go bad quickly. 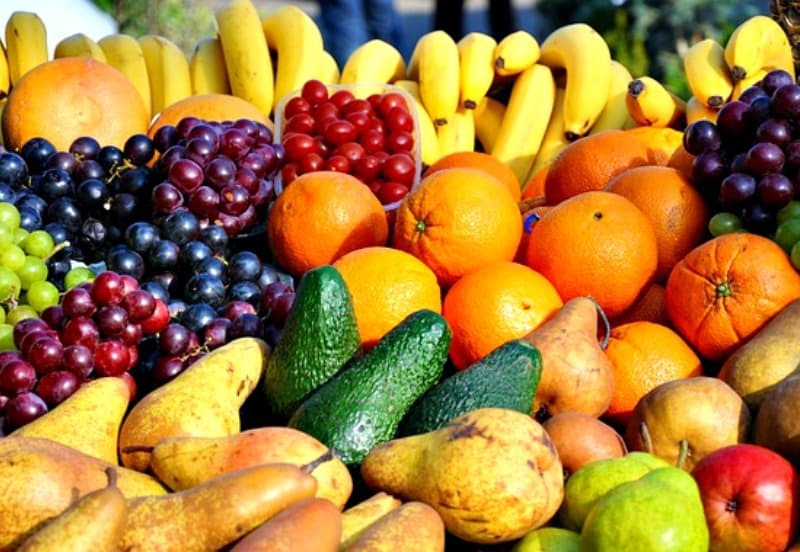 • For longer-term storage, see this Master List of How To Save Produce. 1. Fill a clean sink or bowl with equal parts water and white vinegar. 2. Soak produce for 5 minutes then use a soft-bristled vegetable brush to clean it. For soft-skinned produce and leafy greens. 1. Fill a clean, deep sink with 1 gallon cold water then add the vinegar and salt. Swirl to combine. 2. Soak produce in this mix for 5-10 minutes then drain and rinse repeatedly using cool water. Can you give some examples of soft skinned and hard skinned fruit? I really appreciate this advice. Fruit flies drive me crazy. Sure! Soft-skinned fruit or vegetables have skins you can easily pierce with your fingernail: apples, berries, cucumbers, zucchini. Hard-skinned fruits and vegetables require a knife or peeling: oranges, melons, butternut squash. Hope that helps! Katie, I just found your blog and I’ve spent the whole day reading it! I am a recent college grad and just moved to a new area. Your ideas are helping me figure out how to make a home! After reading this I want to buy a veggie scrub brush. Any tips on what to look for? Congratulations on graduating, Madeleine! The only things I really look for when buying a veggie scrub brush are bristles that are soft enough that they won’t gouge things like zucchini (courgette) but strong enough they can get carrots clean. I prefer square or oval brushes to those with long handles — they just seem easier to grip. Oh, and make sure they can go in the top rack of the dishwasher so you can get them really clean. At the risk of being a dummy, is a banana a hard-skin fruit or a soft-skin fruit? Thanks! I don’t think that’s a silly question at all, Samantha. Since you won’t be eating the peel (which means using dish soap isn’t going to affect the taste), I’d treat them as a hard-skinned fruit for the purposes of washing them.